Caergwrle Methodist Church ChurchWorship begins at 11am on Sunday Mornings and we are always please to see visitors and new members. We have a small Sunday School which we would like to see grow. Once a month we hold a service of Holy Communion. Normally on the third Sunday of the month the Boy’s Brigade and Girl’s Brigade Companies join us for All Age Worship. They meet during the week at their company hall which is also on Castle Street. During the week we have a group that meets on a Monday afternoon for bible study using the Everyday With Jesus study material. We also have a very popular Friday Lunch Club which meets on Fridays during term time at 12 noon for a cold buffet lunch at a very reasonable cost. At other times the church hall is available for hire. Caergwrle Methodist Church is a small but lively Methodist Church situated on Castle Street in the village of Caergwrle, Flintshire. 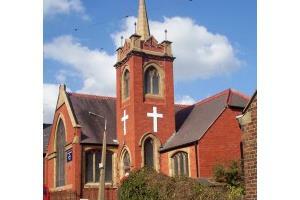 We are part of the Wrexham Circuit which in turn belongs to the Wales Synod of the Methodist Church.